Let’s continue my KK story. 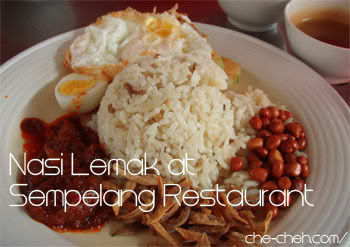 The best-est nasi lemak in KK can be found at Sampelang Restaurant. Everything is perfectly done! 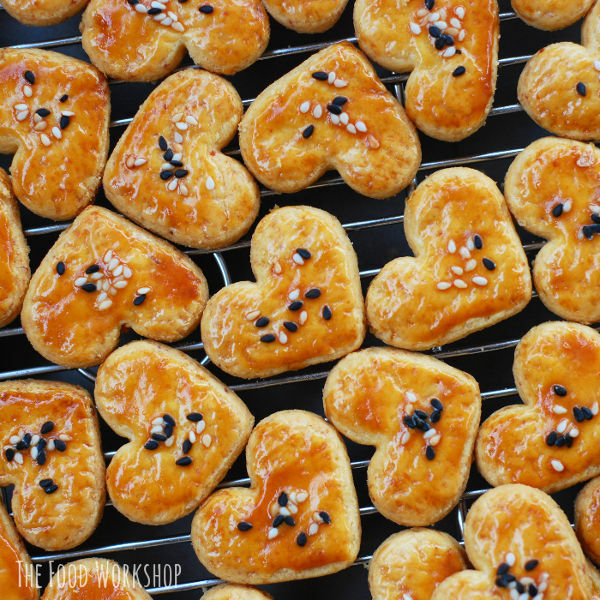 Yummy yum-yum. Look at the fried egg… can die man! After a hearty breakfast, we went back to the hostel to wait for our 9.30am tour transport. We’re going to Kiulu river at Tamparuli district for whitewater rafting. Yeeee haaa! That was the reason we visited our tour operator office the day before… to pay for the Kiulu whitewater rafting adventure which cost RM120 per pax. The package includes transportation, certificate, life jacket, helmet, paddle, raft and bbq lunch. I think the price is really reasonable. Kiulu river is about 1.5 hours drive from KK town. Kiulu river whitewater rafting is classified as class 1 – 2 which means it is suitable for beginner like me and family level. 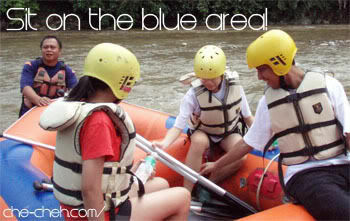 Another whitewater rafting area is at Padas river in Beaufort district which is classified as class 3 – 4. From what we’ve heard, the Padas river was closed on 22nd due to the rise of river water level. We were dropped off at the ending point to place our belongings before heading to the start point. 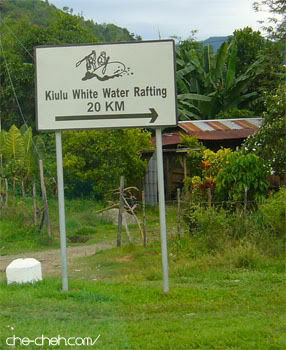 The whitewater adventure spans about 14kms of Kiulu River. We were briefed with safety precaution and rafting procedures eg. how to paddle, where to sit, where to place our feet, what to do if we fall and so on. This river is fairly easy to maneuver except at some places where we have to paddle like nuts. Most of the time we’re just sitting there relaxing ourselves. Our guide told us so. I’m a bit disappointed though because I didn’t feel any adrenaline rush. Should have choose Padas River. I can only say it out loud because I’ve tried this fairly easy river. Although this river is ‘easy’ but don’t ever underestimate it because the river is quite deep. So whatever you do, always follow your guide’s instruction. We journeyed along the river together with a few groups. A scout on kayak moved ahead of us to survey for any danger along the river. Bubu, a tradisional fish trap can cause a blow to the raft if we’re not careful and there’re many of them along the river placed by the local people. We stopped twice and rested at the river banks. For the bravehearts like Dreamcatcher and Jidane they tried out the body rafting stunt (floating on your back with both feet up, pointing downstream, go with the flow). It rained a little and then it stopped. Fheww! Along the way we had water fight with other groups using our one and only instrument: paddle. We lost everytime! Blame it on our guide. He only teaches us the correct way to fire large amount of water towards the end of our journey. We had a scrumptious BBQ lunch at the end point. We reached KK town around mid afternoon… rested and freshen up before heading out again. This time it’s to Filipino market aka Handicraft market for shopping! 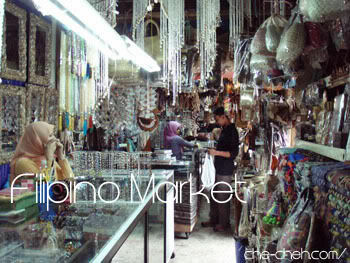 If you want to buy souvenirs from Sabah then Filipino market is da place. This market is fame for its pearls, crystals, tee-shirts, bags, jewellery and many more! Well, I found a guy who is a much better haggler than us, girls –> Jidane! 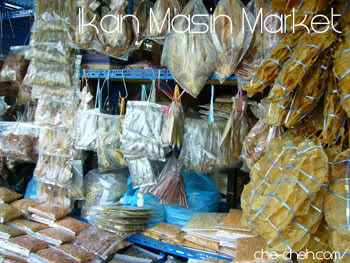 Just beside the Filipino market is the Ikan Masin Market (or salted fish market *chuckles) where you can find dried foods such as anchovies, dried shrimps, sea cucumber, dried scallop, salted fish, salted squid and many more. We went back to Step-in Lodge to unload our GOODS before heading out again for dinner. We decided to try Sampelang Restaurant again. But the foods were not that tasty that night. Aiyah. Oh yeah my thighs were in steaming red because I forgot to apply sunblock lotion before the rafting activity. Felt my thighs ‘cooking‘ (sting) during the journey. Umphh and my cheeks and nose were red in color too. Right now as in today, my poor thighs have 2 different shade of colors and I look like ‘ah neh neh’ (Indian). Overall the day turned out better than I expected. Before trying out whitewater rafting, I have loads of negative feeling… mostly worrying here and there but I know now that I’m quite fond of whitewater rafting. Looking forward to my second rafting adventure. Apparently Padas is the best for whitewater rafting. Need to do that when I visit KK again. the nasi lemak looks absolutely yums, but two eggs!!! gosh that’s like so inviting cholestrol but who cares hahahahaha. so sexciting seeing ur thighs! hehehehe..eh, like amazing race lidat got task before reaching the summit! I think the white water in Sungai Langat is not bad why … more challenging than this ! Because of your post now I’m planning to go Sabah before end of the year liao. Daniel, you’ve tried Kiulu? yes try Padas and tell me about it! Wokey…I’ll do it later ya. Wuching, :blush: are you sure I reach the summit? Jason, no ugly sunburn la. WilsonC, wohoooo does the Padas water really reach 10feet high? Well, that was what the guide told us. Moz Monster, Sungai Langat? never heard before wor. Hcfoo, just for today I show thighs la. Ohhh goody good!!! Bring on the challenge baby! Your trip very fun!! Although I would love to see strong rapids..
Narrowband, :laughing: my skin just started to peel. Hi Darren, I booked with Exotic Adventure. It’s a local tour operator at KK town. You can google them up. Price is around RM110-RM120..can’t remember..sorry. Enjoy your trip ya.